A milk tea with foul taste killed 2 people and caused another to be hospitalized on Thursday. A CCTV video footage captured the incident. Suzaine Dagohoy, 28, and her boyfriend, 34-year-old Arnold Aydalla, went to Ergo Cha Milk Tea House on Bustillos Street in Sampaloc, Manila at 10:42 a.m. on April 9 to order a large Hokkaido-flavored milk tea. In the video, the store owner identified as William Abrigo, 57, was seen apparently explaining to the couple the process of making the milk tea. After nine minutes, he gave the drink to Dagohoy, who handed it over to her boyfriend. At 10:51 a.m., Aydalla took a sip of the milk tea, but spitted it out. His girlfriend, however, helped herself quite a bit because she was reportedly thirsty. A minute later, Abrigo grabbed the plastic wares in which the ingredients were placed and appeared to have explained to the couple how well these were stored. Aydalla left to buy candies while Abrigo concocted another drink for the couple. A few minutes after drinking the milk tea, Dagohoy had her hands on her forehead and collapsed. The store owner was unaware yet of what had happened. When Abrigo went out at 10:57 a.m. to serve the drink, he saw that Dagohoy was already unconscious. He took a sip of the drink and another at 10:59 a.m., the same time Aydalla appeared to be disoriented. A minute later, Abrigo slowly slumped to the floor, where he was seen by his help Joseph Garnacio. The latter was supposed to be the one who concocts the drinks, but he was taking a lunch break during the incident. Dagohoy and Aydalla as well as Abrigo were rushed to the hospital. The tricycle driver who brought them there said they were foaming at the mouth. Dagohoy died at 3:36 p.m. while Abrigo expired at 5:40 p.m. Aydalla survived and is now in a stable condition. 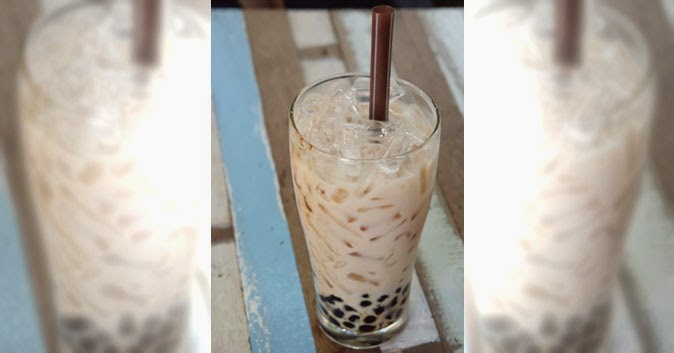 The man working for the milk tea house told investigators that they previously received a complaint on how their drink tasted, which happened after Abrigo's son brought a clear, foul-smelling liquid to the store. Abrigo's son, he said, would wear gloves when handling the liquid. The worker revealed that the pitcher used to mix the Hokkaido milk tea served to Dagohoy and Aydalla smelled of that liquid. There have been speculations by netizens that the liquid the store employee referred to was hydrogen cyanide, a colorless liquid at room temperature which is used to prepare acrylonitrile, a chemical used in the production of acrylic fibers, synthetic rubber, and plastics. Officials from the Manila City Health Department (CHD) conducted an ocular inspection of the stall and confiscated milk tea ingredients suspected to be contaminated by cyanide. Dr. Benjamin Yson, chief of the city health office, said cyanide, which is very easy to mix, has an effect that is usually rapid and irreversible. Authorities already sent a sample of the deadly milk tea to the Philippine Food and Drug Administration (FDA) for testing. Autopsies are also being conducted on Dagohoy and Abrigo's remains at the PNP Crime Laboratory. Results of the FDA test are expected to be out next week.